Tag Archive | "6 million"
Researchers found that among 4.6 million adults living in Switzerland, heart attacks are more common among people who are exposed to too much aircraft noise. 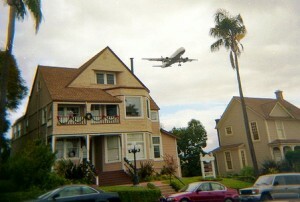 People living under flight routes are the most predisposed. According to Matthias Egger, researcher from the University of Bern, the case was much more evident among people who were exposed to increased levels of noise, but it was dependent on for how long those people were exposed to such noise. Although this is not the first time that noise pollution was linked to undesirable health effects, the study helped determine that the noise is the major cause of the cardiovascular risks and not just other factors that might affect the people such as air pollution. The researchers identified 15,532 heart attack deaths between late 2000 and end of 2005 among 4.6 million residents. Using this information from the ongoing Swiss mortality study, as well as the government records and environmental data, Egger and his colleagues identified that both the duration and level of aircraft noise affect the people most. In their written report in journal Epidemiology, the researchers said that people who are exposed at a minimum of 60 decibels of noise at a daily rate are at 30 percent greater risk to die from heart attack than those who are exposed to less than 45 decibels. On the other hand, people exposed to increased levels of decibels for at least 15 years and more puts up their risk to more than 50 percent. Egger said that noise does possibly have effects on health and their group recommends further measures to protect the people from such aircraft noise such as sound barriers and better home insulation.